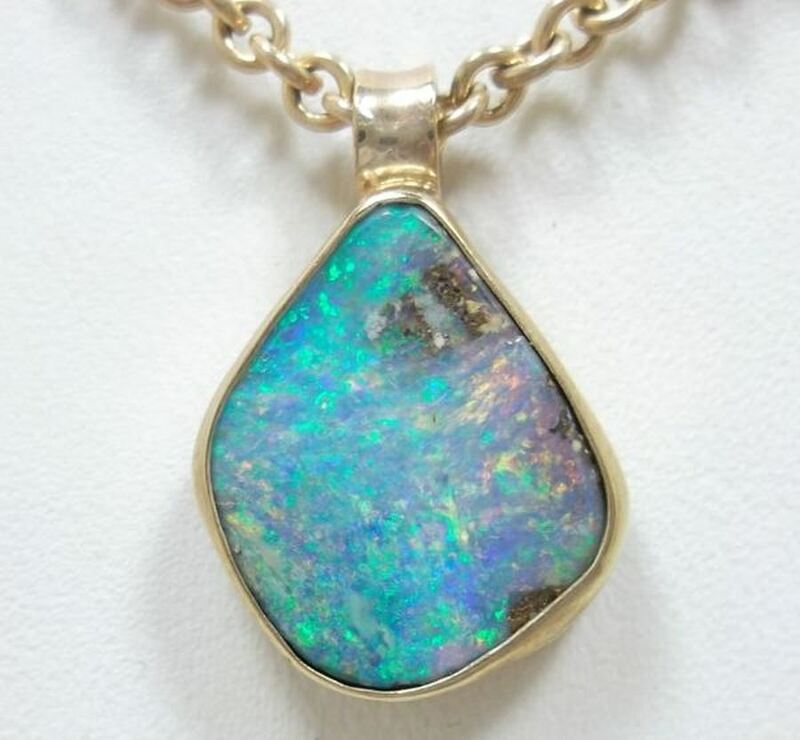 "Boulder Opal" is the second most prized form of opal behind Black Opal. It is usually found embedded in ironstone boulders as thin veins, and most stones are cut to include some of the host ironstone matrix to authenticate its source. Boulder opal may also be referred to as "opal in matrix". 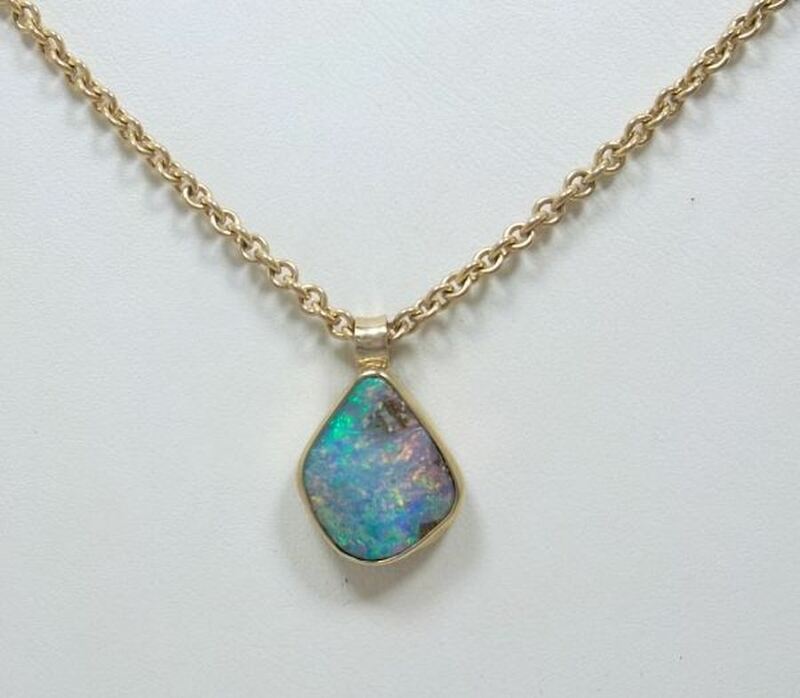 By "Lost Sea Opals" of Lightning Ridge NSW. The beautiful 9k Gold link chain is 500 mm long. The setting itself is 15 x 12 mm. 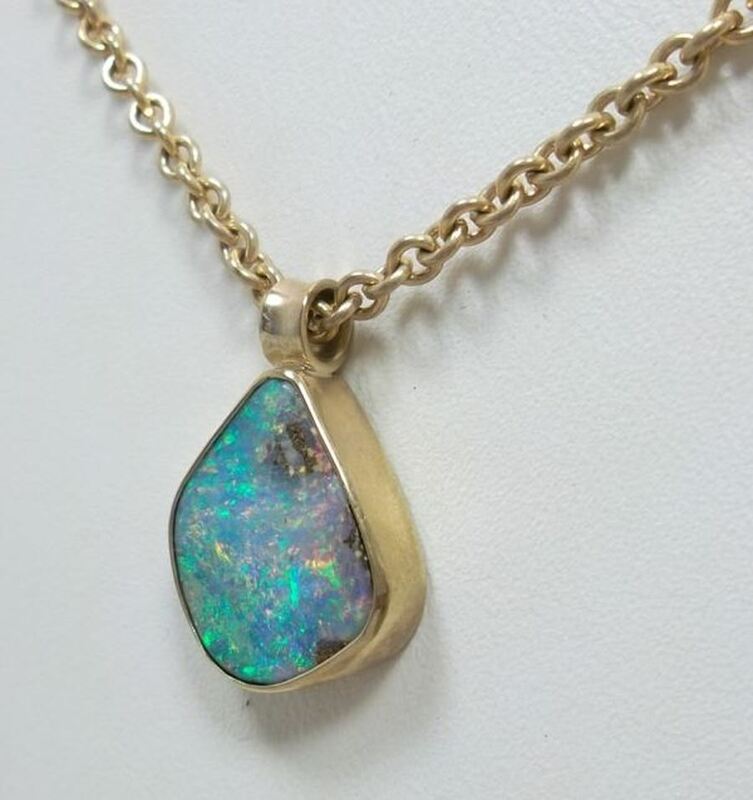 Chain and Setting are Hallmarked "375".